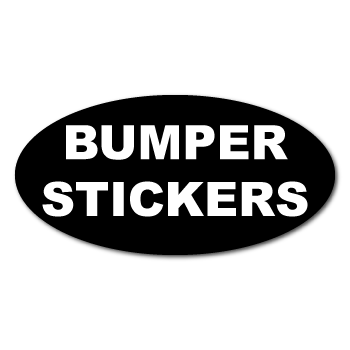 Custom Printed Black on Durable White Vinyl Stickers, screen printed with permanent adhesive suited for indoor or outdoor use.These labels are printed with U.V. ink for for fade resistance. 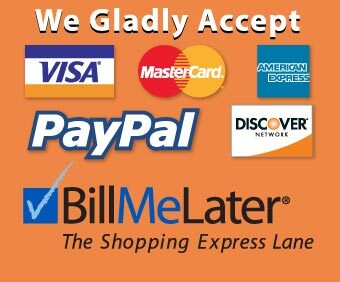 At Sticker.com, we do not charge your credit card until you are happy with the Artwork Proof and give your approval. 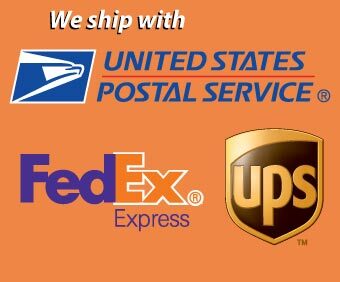 If you decide not to go ahead with your order, there is no charge and no obligation. 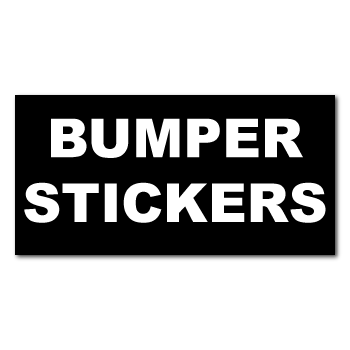 Why not start an order now, and see how we can help you design the perfect bumper sticker, just for you! 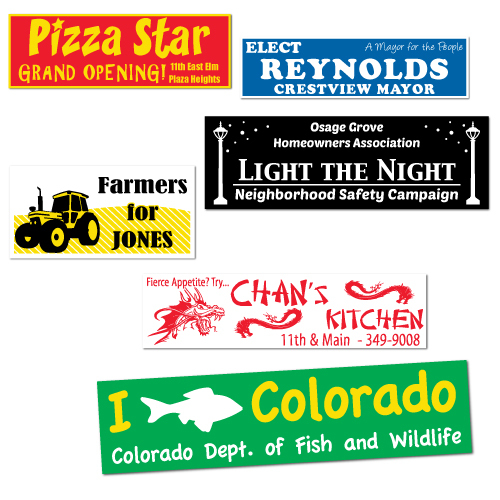 No charge for Typesetting, Artwork clean up and design help.